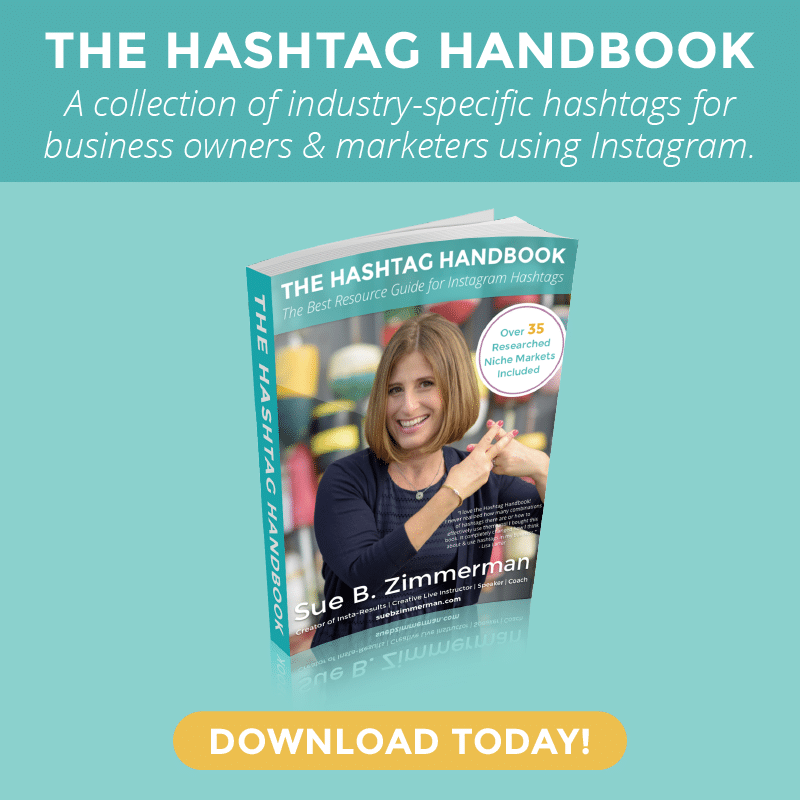 Want to get more engagement and growing your Instagram following? It all starts with having a firm grasp on your Instagram insights. The good news is that it’s really easy to view your insights right in the Instagram app. 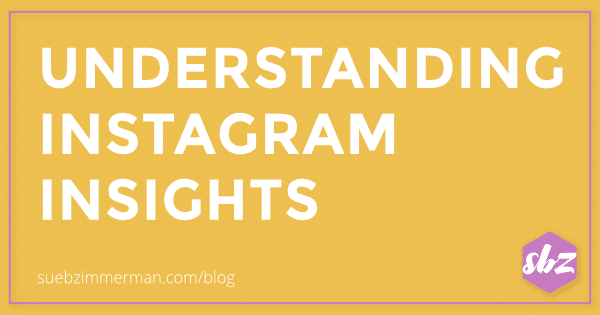 Whether you’re new to Instagram or just taking a harder look at your marketing strategy, insights can help you understand what’s working and what isn’t. In this post, I’ll walk you through the ins and outs of Instagram insights so you can better understand how to measure your performance. Why should you switch to a business account? #1 Analytics: Of course! This is why you’re reading this post. If you want to see your insights, then you need to have a business account. We’ll get into the details of how to understand your analytics later in this post, but for now, just know insights are only available for business accounts. #2 Swipe up feature for Stories: The swipe up feature is one of the easiest ways that people can toggle from your story clip to your website. Right now it’s a feature only available to accounts with over 10,000 followers, but this extra link can be a huge help in driving more traffic to your website. #3 Contact button: How do you expect people to reach out about buying your amazing products or services if they don’t know how to get in touch with you? Business accounts offer a ton of ways for customers to connect with their favorite brands. You can add directions, email address and even your phone number right in your Instagram bio. #4 You won’t be penalized: Instagram has already said that business accounts will not be penalized in the algorithm, so you don’t have to worry about being pushed to the bottom of someone’s feed. Also, if you’re confused about how to create an eye-catching Instagram business account, be sure to read this post. 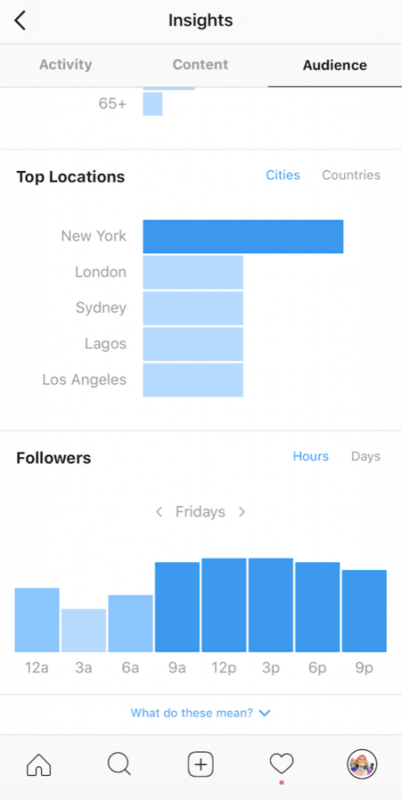 Here’s what Instagram insights look like on IOS. Now, there are two ways to view your insights. At the top of your insights, you’ll see your likes, comments, and saves. You can also see your profile visits, reach, and impressions. Looking at an individual post is a quick and easy way to gauge how your content is performing. Maybe you’re trying out a new caption style? Or launching a new promotion? Whatever it is, remember these insights are only a snapshot of your overall Instagram strategy. Audience insights tell you a ton about who is following your account. For example, what is the average age of your Instagram followers and where the majority of your followers live. This is one of the best ways to understand who your account is appealing to, and how you can adapt your strategy to peak the interest of this audience. Reach and impressions: Why does it matter? Reach and impressions both help you understand how your Instagram content is performing, but what’s the difference? Reach is the number of unique users that saw your post. Even if someone comes back and views your post 10 times, this number will remain the same. Impressions means the total number of times your post has been seen. So if the same person comes back and views your content 10 times, the number of impressions is 10, not one. If your impressions are much higher than your reach, that means your followers are viewing your content multiple times. I know, it can be really confusing. More importantly, why does it matter? Impressions go a little beyond reach. Your posts that have more impressions are the type of content that you want to focus on sharing more often. Clearly, if people keep coming back to view your content then you have shared something that has caught their eye. Have you noticed that your reach is declining? Make sure you’re posting at the right time of day. While this isn’t an exact science, knowing when your followers are most engaged is a good metric to guide when you post. You can analyze it by both day of the week and time of day. 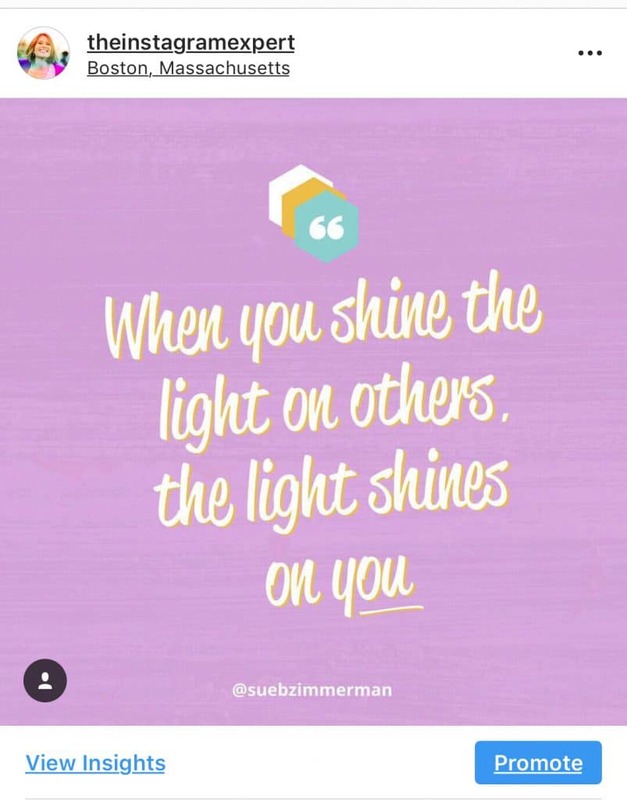 What are your Instagram insights telling you? Now that you understand all of the ways to view and interpret your insights, you’re ready to improve your Instagram strategy. What do you think about Instagram insights? Still have questions? Found any of these strategies extra helpful? Let me know in the comments below. 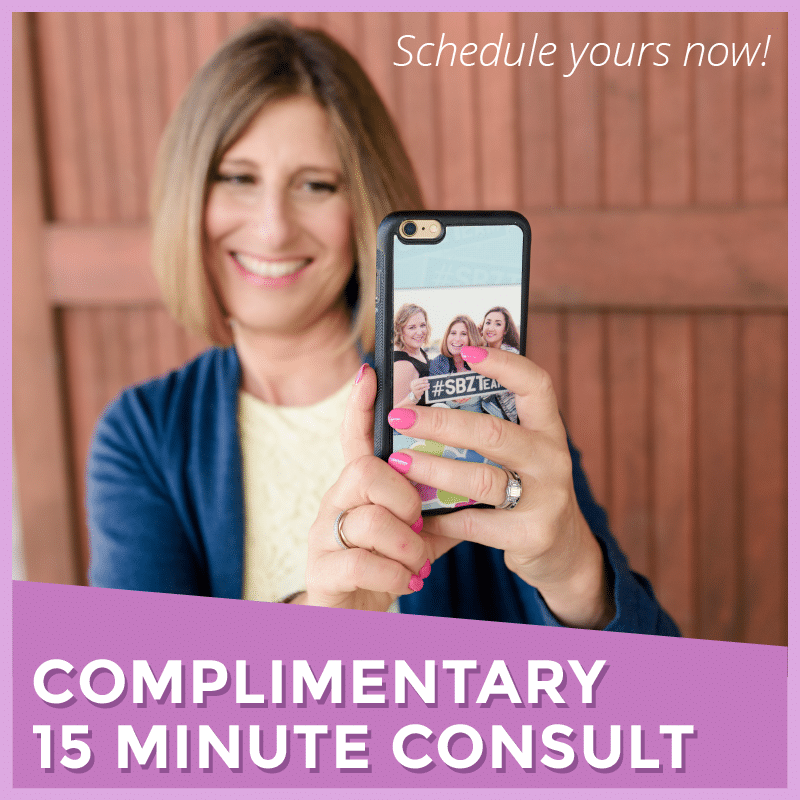 And if you’re looking for the simplest way to convert your Instagram followers into buyers, then be sure to sign up for my upcoming LIVE class. 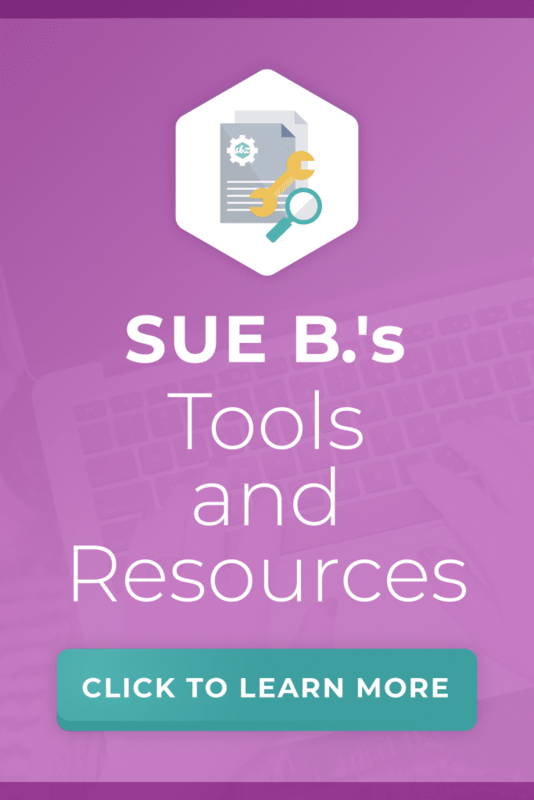 It’s packed with action-steps all focused on your most important asset: your email list.